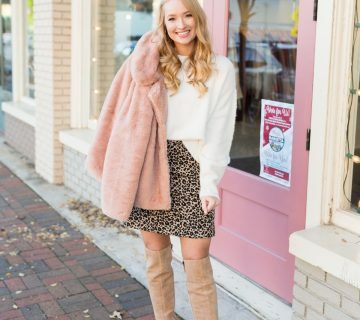 My time as an RbItGirl is over for now, but I decided to keep my subscription because I have been really enjoying receiving designer pieces in my mailbox, who wouldn’t…?! I’m contemplating how long I want to keep it because they’re currently running a summer promotion during June to get a discounted monthly price (the longer you keep it the cheaper it gets…as low as $5 per month! I thought it would be fun to share my current wishlist. In a way it will show you jewelry trends I’m loving and also showcase what I think is the best of the best on Rocksbox! My taste in jewelry is simple, but I also love pieces for pops of color. Right now I am all about turquoise because of an upcoming trip to Arizona (and because it’s always a summer favorite). 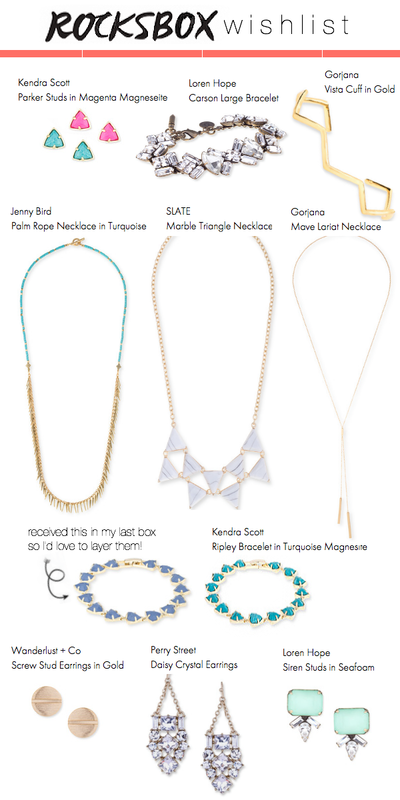 Also it’s not surprise that most of the pieces on there are from Kendra Scott and Loren Hope. Even though they’re my favorites, another great aspect of Rocksbox is you can find new designers to try out. For example I’ve tried anything from SLATE, and you can see one of their gorgeous necklaces here on my wishlist. Now for the fun part. Use code strawberrychicxoxo at checkout to receive your first box free. You can cancel anytime and use each box as long as you wish. FYI it takes just under a week to receive a new box, so you can try it a few times to get a good feel for it. Also, be sure to add feedback online vs. filling out the form in the box because you’ll receive your next box quicker. What’s on your wishlist? You can add to yours by either going on the website or using #wishlist on their instagram! UPDATE: Ironically shortly after posting this my RBItgirl status was reinstated, so I updated the code to reflect that! 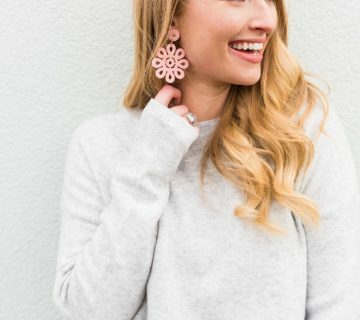 Those teal earrings are super cute! I love the screw stud earrings!